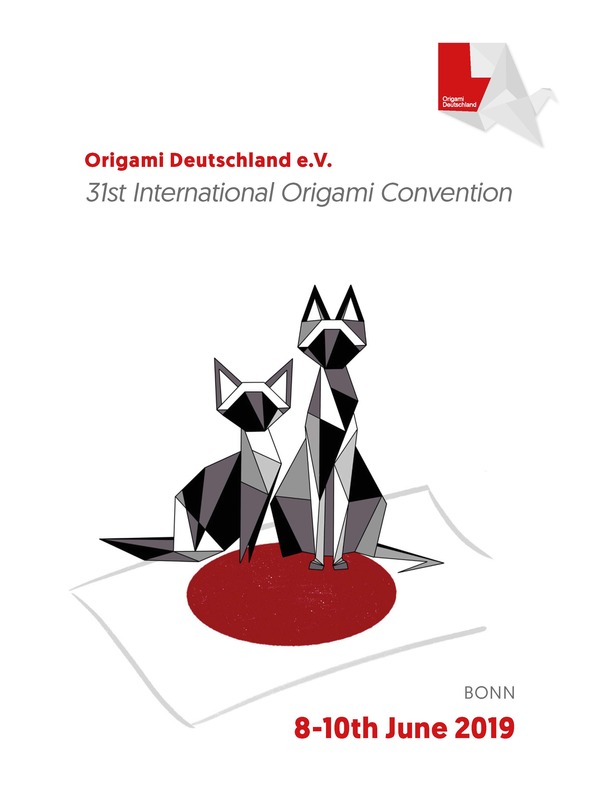 Annual Conventions of Origami Deutschland e. V.
Origami Deutschland organizes an international convention once a year. A variety of workshops, an origami exhibition where participants can show their latest models, an open house for local visitors on Sunday morning, paper and book shops and lots of time for folding are all part of the agenda. Each year, we are happy to invite a special guest from Germany as well as two international special guests who will host unique workshops and exhibit their latest creations. Every year 200 - 240 origami enthusiasts join us for the convention. Non-members of Origami Deutschland are also welcome to participate. On this page you will find additional information on our next annual convention (place, date, invitation, special guests, registration forms, deadline for contributions to the annual model collection and so on) as well as reviews of past conventions. With our 30th convention in May 2018 we started a year of celebrations for our society, which will have another highlight in 2019. 30 years ago, on the 14th of January 1989, Origami Deutschland was founded as charitable organisation by Paulo Mulatinho and seven other origami enthusiasts. Since then the society has not only grown by number of members. No matter if they are folding for leisure or as an artist, the members of our society are spreading the joy of origami in countless activities and voluntary engagement as laid down in our constitution. Under this sign will also be our 31st International Origami Meeting from 8th to 10th of June 2019 in Bonn. Be curious about a wide range of workshops, show your models in the origami exhibition and the folding competition, meet old acquaintances, get to know new folders, look around in the paper shops and fold a whole weekend to your heart's content. We cordially invite you to the convention! Convention registration is possible via Origami Deutschland only. This applies to folding as well as non folding participants. For registering please select one of the online application forms below. Please note our Annotations to Convention Fees (PDF). Who wants to give a workshop? Please complete and submit the Workshop Form until 10th May 2019. The deadline for diagrams is 20th April 2019. We will publish two diagrams per author only. Contributing authors will receive a copy of the model collection. If you send in additional diagrams we kindly ask for your permission to publish them in a future edition of our magazine "der falter". Please send us the Confirmation of consent for publication (PDF) together with the folding instruction. Please take your model with you to Bonn or, if you are not able to come, you can send it in. For address information please email to . Models must arrive before 10th May 2019. 1. The folded model must be clearly related to the theme of "Black and White". 2. You may only use paper for your entry. Auxiliary materials (glue, thread, etc.) are allowed. 3. Required information: model/title, author, folder number of used sheets of paper/ number of pieces, auxiliary materials. All submitted models will be presented publicly in Bonn. Participants of the convention will choose their favorites. The artists with the most votes will receive small prizes.